Today we have received a shipment of new crop coffees and both are Limited Editions – meaning – come and get it before it’s gone! We will be cupping these coffees tonight (Thurs) at 6pm and tomorrow (Fri) at 4 pm. You are welcome to join in. After the cupping we will also be tasting the coffees brewed as a French Press, Chemex and as an espresso – these three brewing methods always provide us with 3 very different perspectives and allow our baristas to better discuss the coffee with you. I love this coffee brewed in a French Press – great cup flavors of milk chocolate and cinnamon. We will cup this coffee for the first time tonight and very excited. The roasters at Batdorf and Bronson say this cup has amazing flavors of pomegranate, strawberry and watermelon. I will update this post later to let you know our brewing method recommendations. As always, we will be serving these coffees at Tazza D’Oro brewed by Chemex or French Press. 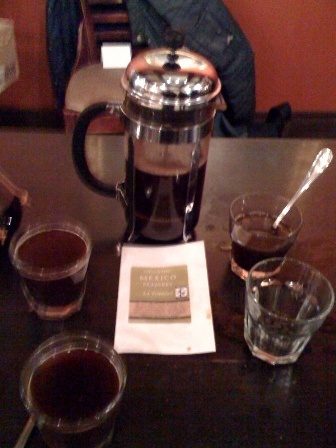 Updated- The Rwanda brewed as a French Press was delicious but the Chemex brewing brought out all the delicate cup characteristics of the coffee. 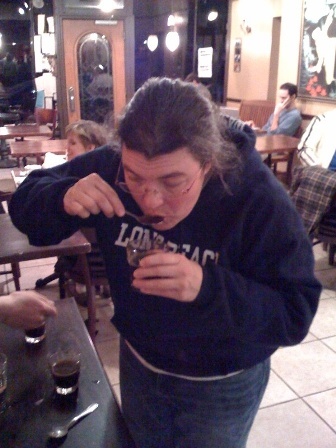 Cupping the Rwanda – YUM!!! 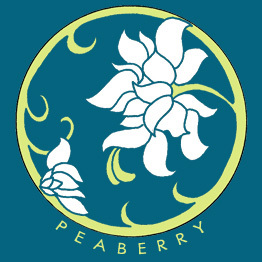 Organic Mexico Peaberry – French Press – hands down! 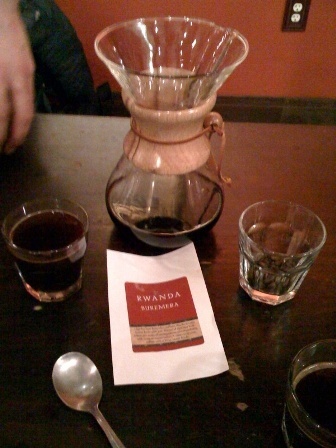 Rwanda Buremera – toss up in the group between brewing in a Press or Chemex – but if you ask me – Chemex it is!